Try out the amusement park rides and eco-adventure thrills - great fun for family and friends! Super worth it. Highly recommended. It was a must to stay until late night, so you can enjoy the jacuzzi pools. 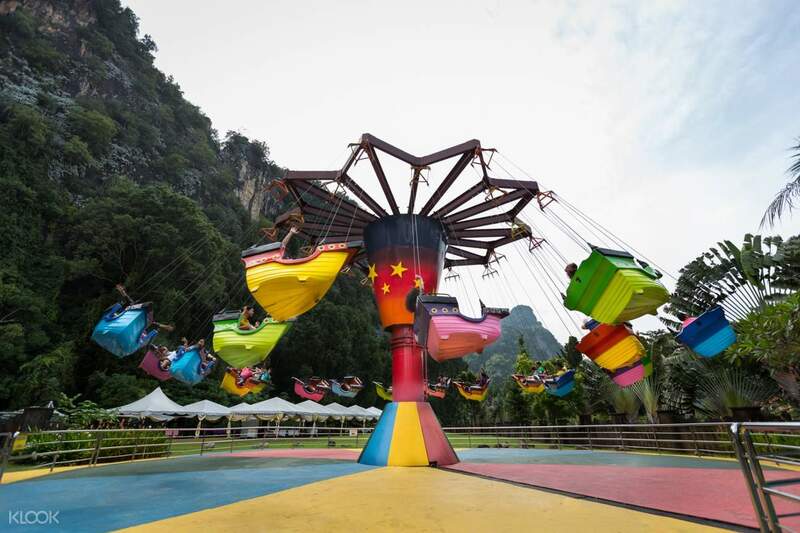 Don't leave Ipoh too soon – especially not until you visit the Lost World of Tambun, one of the best action and adventure holiday destinations for the whole family! 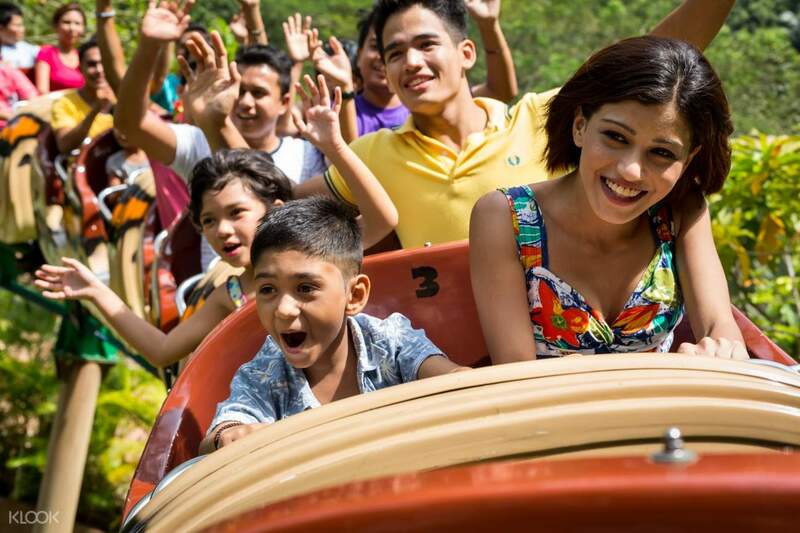 The Lost World of Tambun is not just a theme park – it's more than everything you could expect from the average amusement park! 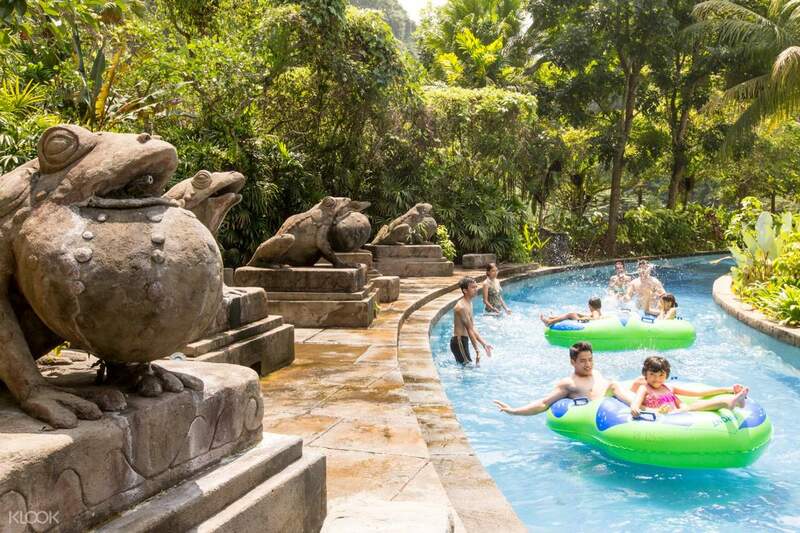 Built with an in-house hotel, hot springs and spa, and theme and night parks, a day is not enough to complete the Tambun experience. 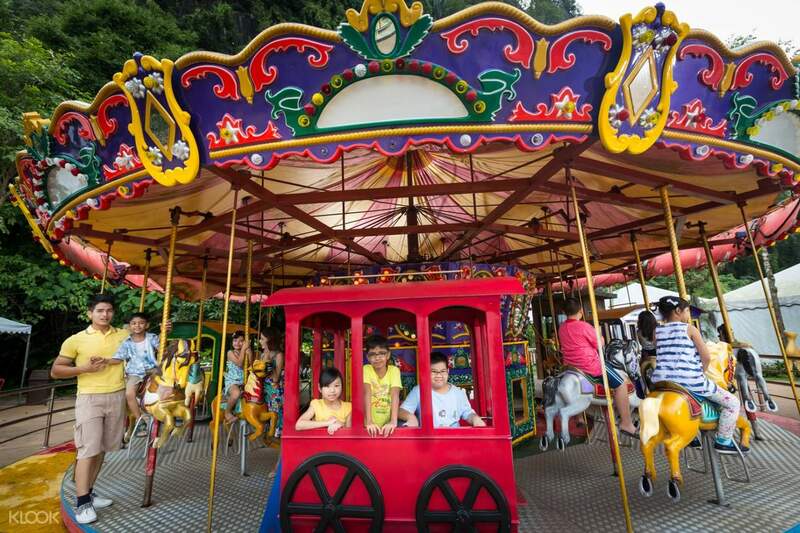 Enjoy amusement park rides, eco-adventure thrills, a petting zoo, a tiger valley, a health spa, and more! You can spend the day learning about tin mining in Malaysia, or soak in the sun at the water park. However you decide to spend your day inside the park is completely up to you. There's so much you can do and see – you have all the luxury to get lost in it! 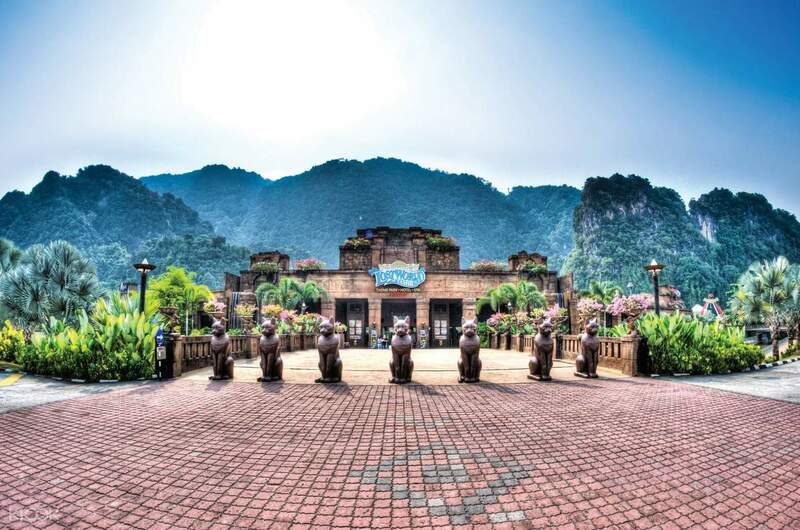 The Lost World of Tambun is located in Ipoh, Malaysia's most historic city and just two hours away from Kuala Lumpur, and more so, a city rich with culture and heritage, and definitely one of the best places to discover in the country! 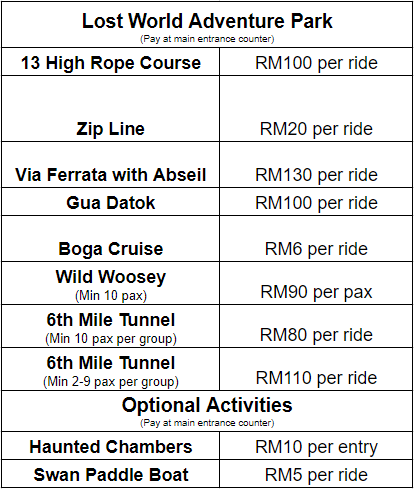 Experience a wild and thrilling adventure at the Lost World of Tambun in Ipoh! 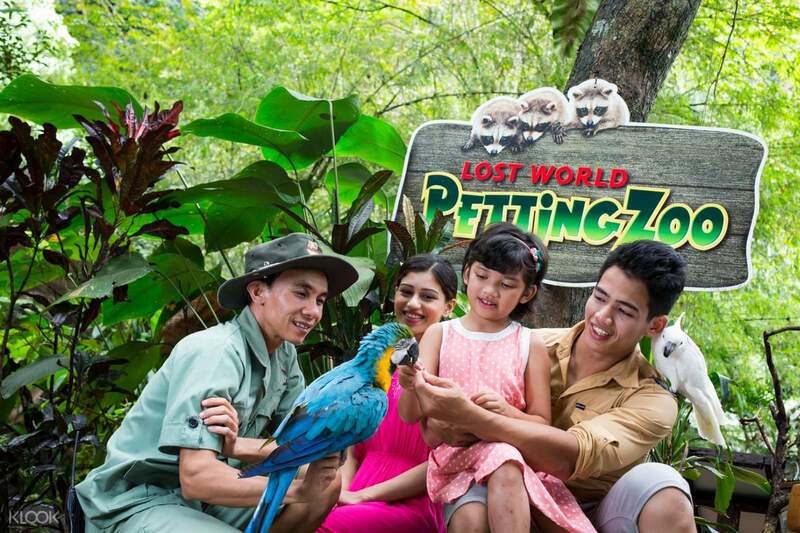 Lost World is more than just an amusement park – you get to do all kinds of fun, action-packed activities here! One of the best place to visit in ipoh town. Suitable for all age. Very nice and friendly staff. Make sure wear a jersey not a cotton dress to enjoy the water park. Overall is good amazing place. most recommended. One of the best place to visit in ipoh town. Suitable for all age. Very nice and friendly staff. Make sure wear a jersey not a cotton dress to enjoy the water park. Overall is good amazing place. most recommended. My friends and I had a great time in the Tambun hot spring. It was calm and relaxing. With the deal from Klook, it made the trip much more affordable as well. The activities were all great especially the water slide and steam room. The luminous forest and petting zoo was equally fun. The luminous forest was one of a kind experience and the petting zoo has some pretty adorable animals. Overall our experience in Tambun hot springs was amazing and thank you Klook for helping us. My friends and I had a great time in the Tambun hot spring. It was calm and relaxing. With the deal from Klook, it made the trip much more affordable as well. The activities were all great especially the water slide and steam room. The luminous forest and petting zoo was equally fun. The luminous forest was one of a kind experience and the petting zoo has some pretty adorable animals. Overall our experience in Tambun hot springs was amazing and thank you Klook for helping us. Such a fun place. This place was very good for everyone. We went to play all the water activities and tried the hot springs at evening and that was great. Everything was very well organised. The staffs are very friendly and helpful. We can visit animals, water park and theme park together eventhough its a little bit exausted to visit all place. A lot of fun for kids and adults. There is a lot foodstalls offered local delights with slightly more expensive. The animals here are very healthy and also cute. We will back again. Such a fun place. This place was very good for everyone. We went to play all the water activities and tried the hot springs at evening and that was great. Everything was very well organised. The staffs are very friendly and helpful. We can visit animals, water park and theme park together eventhough its a little bit exausted to visit all place. A lot of fun for kids and adults. There is a lot foodstalls offered local delights with slightly more expensive. The animals here are very healthy and also cute. We will back again. Nice place to spend time with the kids. Nice environment. Suitable for family holidays. Juz too crowd with 2 or 3 family days at there at the same day. The garfield and friends were too cute and adorable.. Looking forward to be there again.. May be we should come during weekdays or not in school holidays session. But.. The crew was really friendly even though there too many crowd. Nice place to spend time with the kids. Nice environment. Suitable for family holidays. Juz too crowd with 2 or 3 family days at there at the same day. The garfield and friends were too cute and adorable.. Looking forward to be there again.. May be we should come during weekdays or not in school holidays session. But.. The crew was really friendly even though there too many crowd. Spend the whole day at LWOT besides tiring but still happy, excited & the kids learned a lot especially about animals at Petting Zoo. To add more eating & seating areas. To improve on queuing process buying food. Spend the whole day at LWOT besides tiring but still happy, excited & the kids learned a lot especially about animals at Petting Zoo. To add more eating & seating areas. To improve on queuing process buying food. Easy to redeem at counter 1 or 2.. Then collect your ticket and enjou ur day at tambun from day to night.. it is worth to lay and reasonable price rather than buy at the counter.. just the food price is a little bit pricey about RM8-RM15 per plate.. Easy to redeem at counter 1 or 2.. Then collect your ticket and enjou ur day at tambun from day to night.. it is worth to lay and reasonable price rather than buy at the counter.. just the food price is a little bit pricey about RM8-RM15 per plate.. Printed voucher is required for exchange with wrist tag. Admission was smooth and easy. The park was big and very explorable. Recommended to rent stroller for the little ones and wheelchair for the elderly, instead of letting them go on foot. Alternatively, visitors can hop onto the tram that goes around the perimeter of the park, for sightseeing. Petting zoo and giraffe & friends were definitely a must go! Good range of animals to feed. Stay in after closing time (6pm) because the night hotspring along ipoh street were much livelier and vibrant with colourful lightings and foodfest. Water was warm and relaxing. Love it! Printed voucher is required for exchange with wrist tag. Admission was smooth and easy. The park was big and very explorable. Recommended to rent stroller for the little ones and wheelchair for the elderly, instead of letting them go on foot. Alternatively, visitors can hop onto the tram that goes around the perimeter of the park, for sightseeing. Petting zoo and giraffe & friends were definitely a must go! 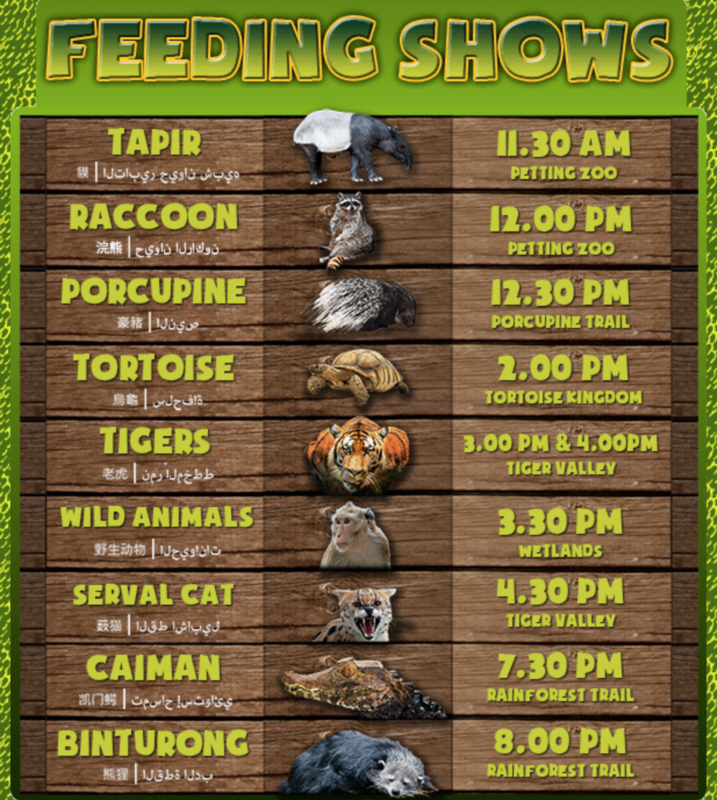 Good range of animals to feed. Stay in after closing time (6pm) because the night hotspring along ipoh street were much livelier and vibrant with colourful lightings and foodfest. Water was warm and relaxing. Love it! We spend the whole day in the park from 10.30am till 10.30 pm. You dont need to purchase the night park ticket if you are willing to stay inside the park from morning. We paid extra rm20 per person to get a close encounter with the tigers. We will be back here as we had so much fun. We spend the whole day in the park from 10.30am till 10.30 pm. You dont need to purchase the night park ticket if you are willing to stay inside the park from morning. We paid extra rm20 per person to get a close encounter with the tigers. We will be back here as we had so much fun. This place is for animal lover! The petting zoo is nice, huge and very clean too! Some place is not friendly with wheelchair user since they only have stairs eg. to water slides, jacuzzi pool and tarantula place. 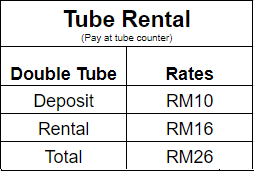 If you want to enjoy waterpark then sunway lagoon is much better. But if you are animal lover, this place is for you! I saw some people bring outside food but not sure if it is permissible or not. But no worries, inside food is delicious but kinda pricey. This place is for animal lover! The petting zoo is nice, huge and very clean too! Some place is not friendly with wheelchair user since they only have stairs eg. to water slides, jacuzzi pool and tarantula place. If you want to enjoy waterpark then sunway lagoon is much better. But if you are animal lover, this place is for you! I saw some people bring outside food but not sure if it is permissible or not. But no worries, inside food is delicious but kinda pricey.